​I usually tune out during commercials, but when I heard Iyanla drop this gem in a teaser for her new season of Fix My Life, I woke the hell up! I know what resistance looks, sounds, and feels like (thank the goddess I’ve learned to own mine). And, as an empath, I’ve been admittedly agitated by recent encounters with folks harboring energies of delusion, denial, dissatisfaction and the inability to practice accountability about things that are within their sphere of influence. all of these qualities are manifestations of our resistance to spiritual growth. If we are truly willing to do the work, then we can develop, expand and strengthen our capacity to change our perceptions — even though we may not have the power to (immediately) change our conditions or circumstances. discern the unresolved areas that are causing disparities between our thoughts, words, and deeds. see our habit energies and patterns of behavior that keep us stuck in grooves that cause suffering. tend to our wounds and move toward wholeness and healing. What we won’t do is co-sign one another’s craziness! 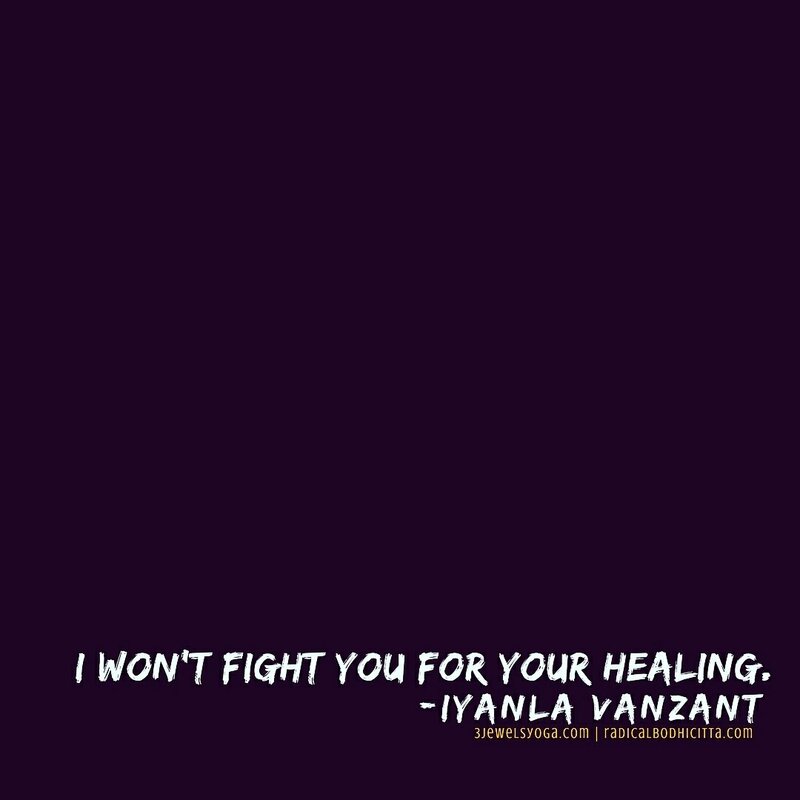 Uninitiated healers often spend way too much time trying to minister to wounds that aren’t theirs to heal and guide those who aren’t theirs to teach. On this, I speak from hard-won experience. So I’ll conserve my energy, guard my intuitive spirit, filter out the lesson from the agitation, and step waaay the hell back before the connection becomes toxic.